LTM's extensive organic gardens feature fruit trees, vegetables, culinary and medicinal herbs, grapes, and berries. If you purchase a property with a neglected garden, you're bound to be faced with challenges. But if your garden includes neglected fruit trees, you are gifted with opportunities. However, after applying basic principles of organic garden management, I was rewarded with a large harvest of heritage apples. If you have a fruit tree that's destined for the too-hard basket alongside your fireplace, I urge you to take a moment and consider the options. With a bit of love and attention, you might share my success. If you live off the grid, as I do, or simply hope to achieve a goal of being as self-sufficient and sustainable as possible, it is important to become creative about problem solving in the garden. 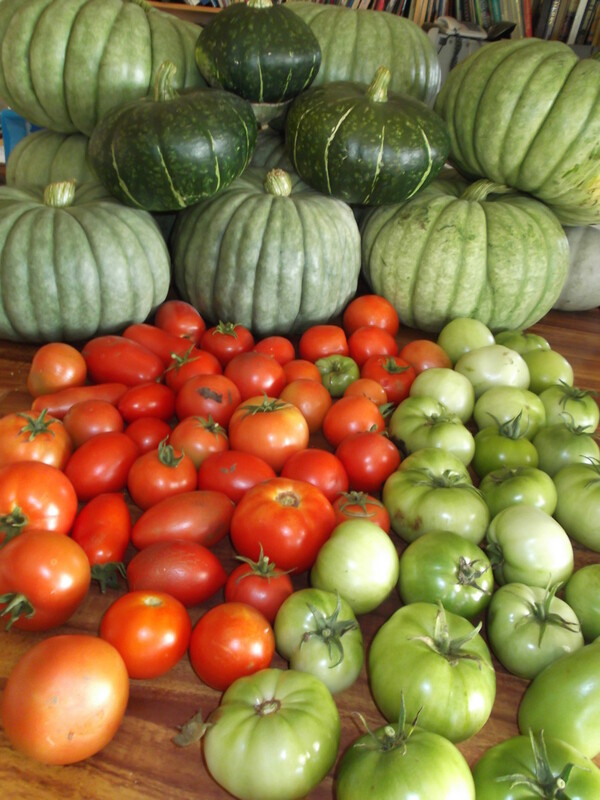 Our gardens provide us with fresh fruit and vegetables. In today's economy, waste is not an option. 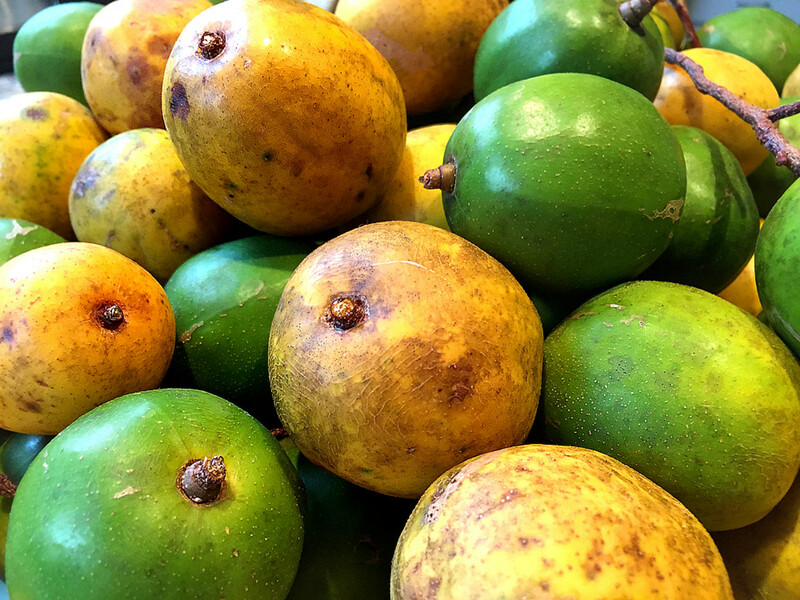 If rejuvenating an existing fruit tree increases the amount of fresh food available to you and your family, any effort becomes a small price to pay. 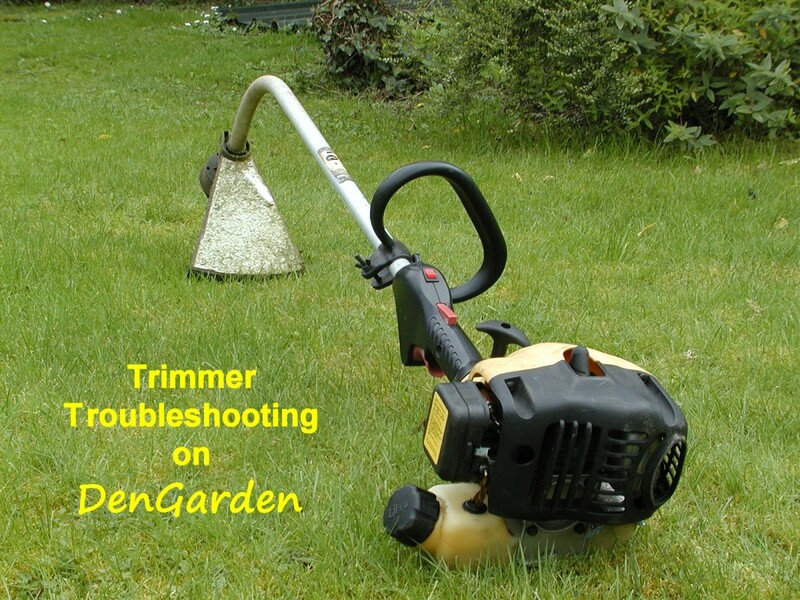 My methods are a little different to the advice gardeners normally offer. But you just need to look at the photos to see there was nothing normal about my tree!! I choose to be organic. My solutions to any problem in the garden rely on nature's remedies. As you are about to discover, my apple trees responded well to my techniques. 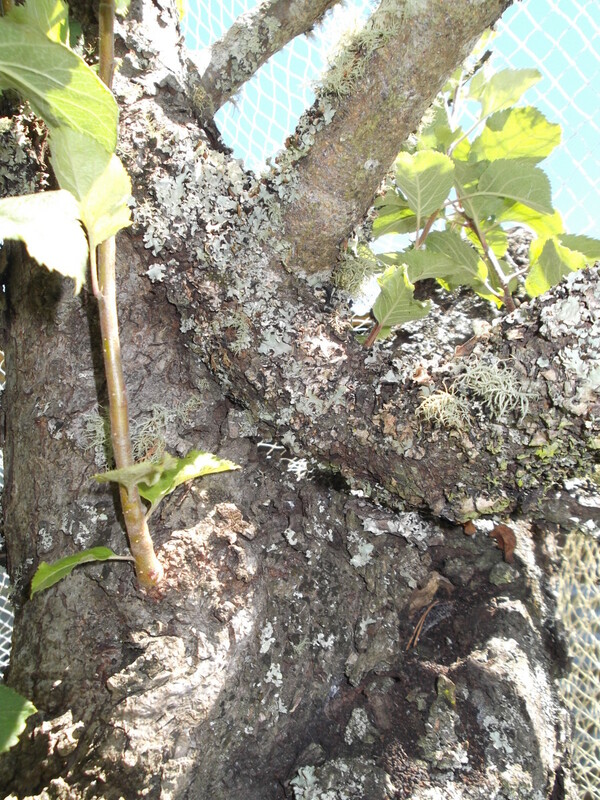 Prune in the spring, before new growth begins. Don't be too savage at first. Anything ancient deserves respect! Hen manure, comfrey leaves and mulch helped mine. 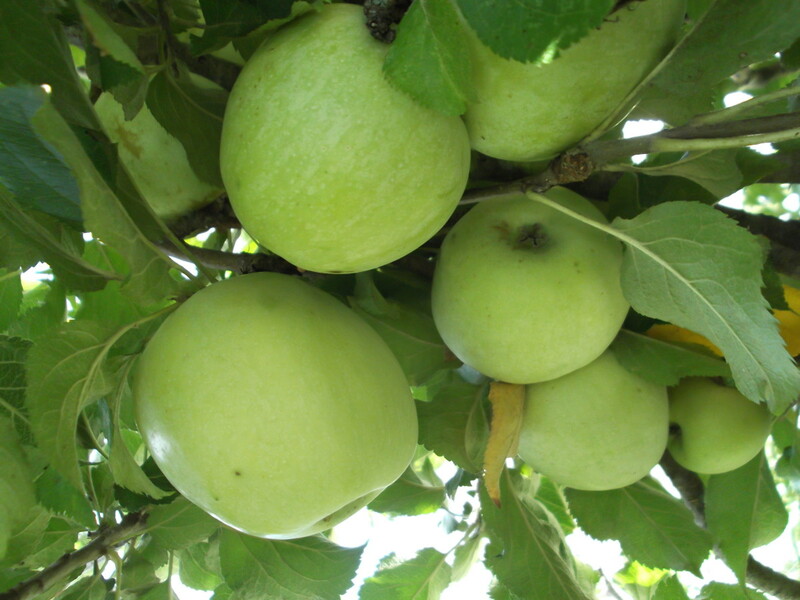 Provide another apple tree for cross-pollination. Choose a variety that flowers at the same time of year. Fennel attracts bees and at the same time deters unwanted pests, particularly pests that spend part of their life cycle in the ground. I didn't water often, but when I did I gave a thorough soaking around the root line. Cover with netting if you hope to make lots of apple pies! Is an ancient apple tree worth saving? We inherited two old apple trees on our property. We were told they were more than 100 years old. By my reckoning that makes them ancient. I asked the former owner what I could expect; red or green, sweet or tart? In the ten years that she'd lived here, she'd never seen an apple and had often considered chopping the trees down. Their removal jumped close to the top of my husband's list of things to do. There's little point in having a completely unproductive tree in any orchard, but I'd never seen an apple tree so old and I agreed in principle to its removal - on the condition that I get at least one season to see if I could detect any signs of life. We pruned the old tree but the signs were not good. The trunk was rotten and hollow and my husband was not to be trusted alone with the chainsaw. As you can see from my photos, the tree was so old it had created its own crutch. The only thing stopping it from toppling over. 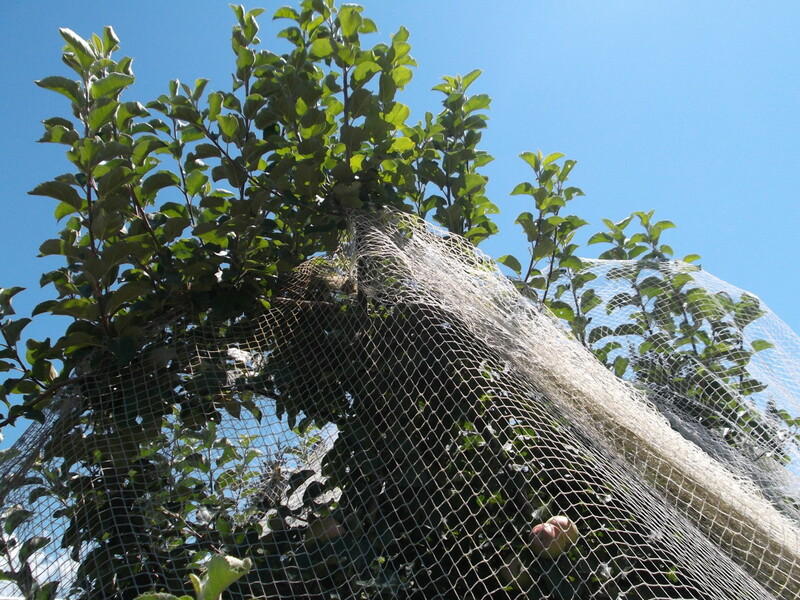 My daughter and I covered the tree with netting because that's what one does with apple trees. 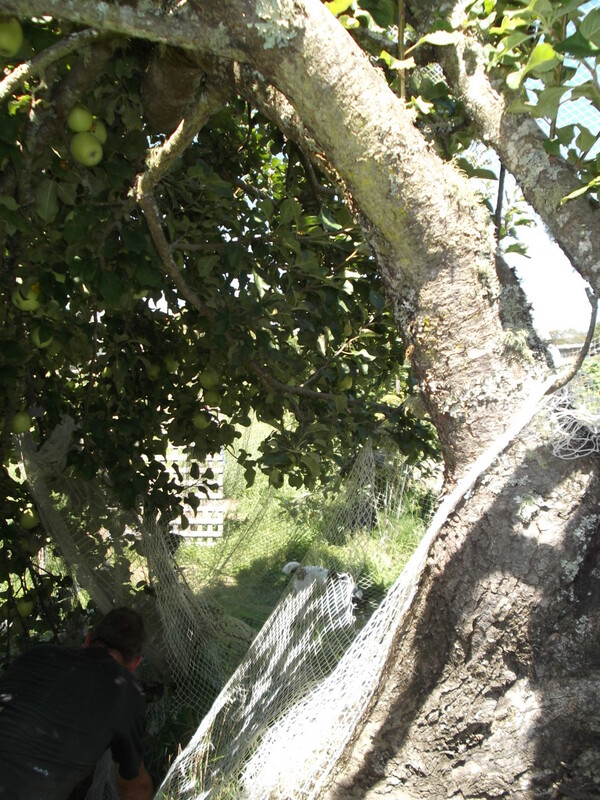 My husband and I later removed the netting because only strangely eccentric women put netting over dead apple trees. Okay, the man had a point. What's the likely outcome if you had a dead-looking fruit tree? I would power up the chain saw. I would accept the challenge and try and get fruit from it. My partner and I would argue about whether or not it would be worth the effort to try and rejuvenate it. I like the look of a dead tree. It can stay. 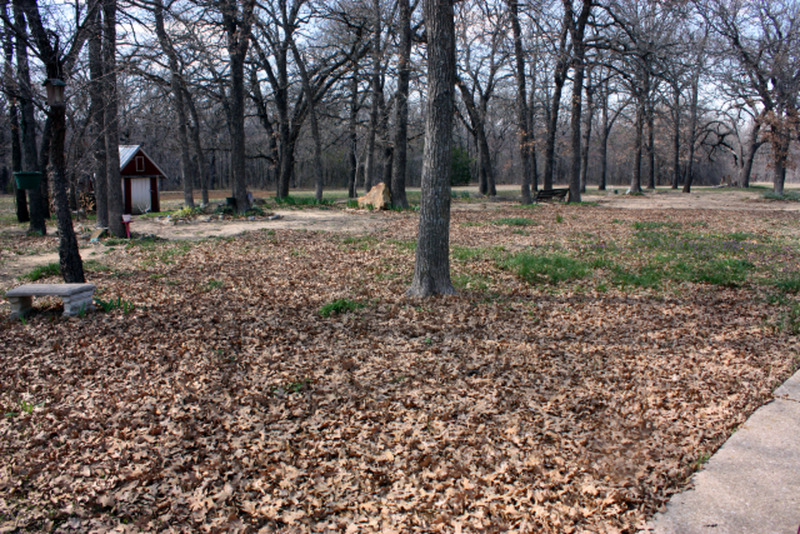 Visitors were convinced the trees were dead and laughed at my stubborn determination to give the trees a chance. They would have laughed louder had the netting stayed in place. Cockatoos, galahs and other native birds will devour the fruit on any tree given the chance, but we were not convinced we'd see any growth in the old apple trees. When leaves are unlikely, there's no need to worry about apples. We were genuinely surprised by the first signs of new life. As the season progressed, there was green on the crusty old branches. Then flowers. The second year, I was determined to see fruit. We have two old apple trees but they are positioned too far apart for convenience. We were already planting our orchard to extend between the two ancient trees and I'd planted Granny Smith and Pink Lady apples, plus another apple tree with multiple grafts so it would produce gala and delicious apples. But they were only young. I watered and mulched the new apple trees, but I gave extra attention to the grand old lady with the crutch. When my husband announced he would build a second hen house to accommodate a different breed of chickens, I convinced him to create a temporary hen house and fenced area around the base of the old apple tree. I hoped their scratching would help aerate the soil, their pecking would help eliminate any bugs in the ground and the branches, and their manure would provide much needed nourishment for the roots. The hens moved in and spent the winter scrambling up and down the frame of the tree, and busying themselves around its base. When springtime arrived we relocated the hens and I put the next stage of my plan into action. Our first big vegetable garden was productive and attracting bees, but I wasn't confident that would solve the pollination issue for the apple trees. I bought a dwarf Pink Lady apple tree that was small, but flowering, and planted it in the biggest pot I could find. I mulched it with comfrey leaves and watered it well while waiting for the ancient apple trees to flower. We dragged the potted Pink Lady to rest beneath the first old tree to flower, then dragged it again to spend time with the other. Can you imagine how happy I was to see fruit? 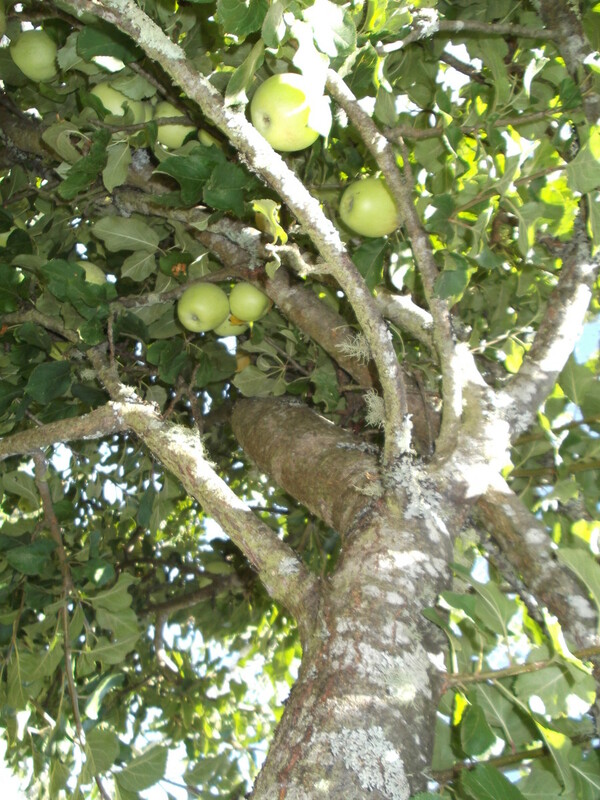 Not a lot of fruit, I confess, but we had apples forming on both trees. The one I'd neglected had no more than a dozen tiny apples, but my favourite one was dotted with tiny fruit. Cockatoos ate every single one of them. Grrrr. How big will Comfrey grow? It is very disappointing to come so close to success and be thwarted at the last moment. I still didn't know if the apples would be tasty or not, but I was determined to find out. I had plenty of time to make further improvements before my third season arrived. 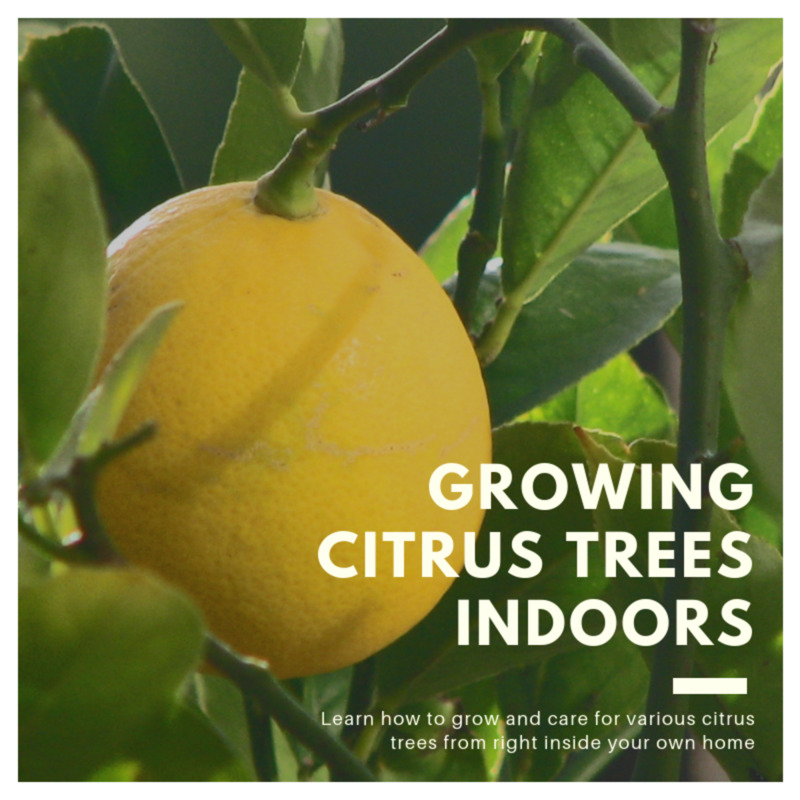 It was time to get serious about pruning, and watering, and keeping birds and bugs away. 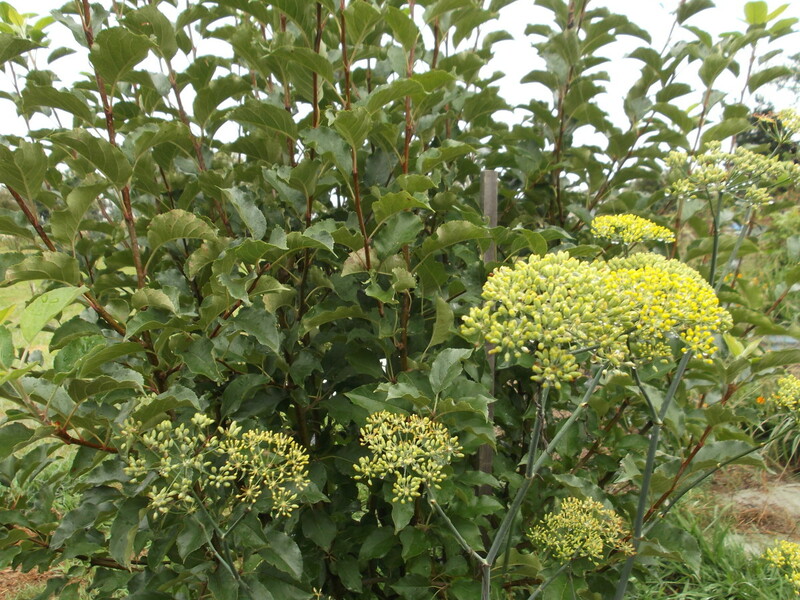 I planted fennel at the base of the apple tree because fennel, in my experience, deters all kinds of pests. It is particularly useful for protecting fruit trees from cherry and pear slug and I had seen plenty of the slugs on our hawthorn trees (also inherited) as well as my new pear trees, cherry trees, plums, apricots and peaches. Call me crazy, but I suspected they might also like to feast on apple trees. This time as the trees filled with leaves, then flowers, we dragged the potted Pink Lady apple tree back for short visits to each tree. Every Saturday we moved it again. 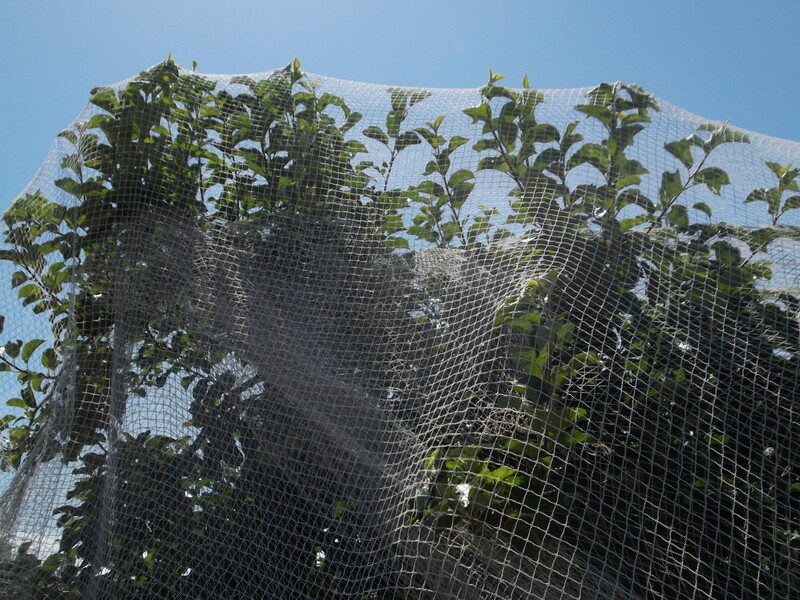 At the first hint of fruit, we replaced the netting. 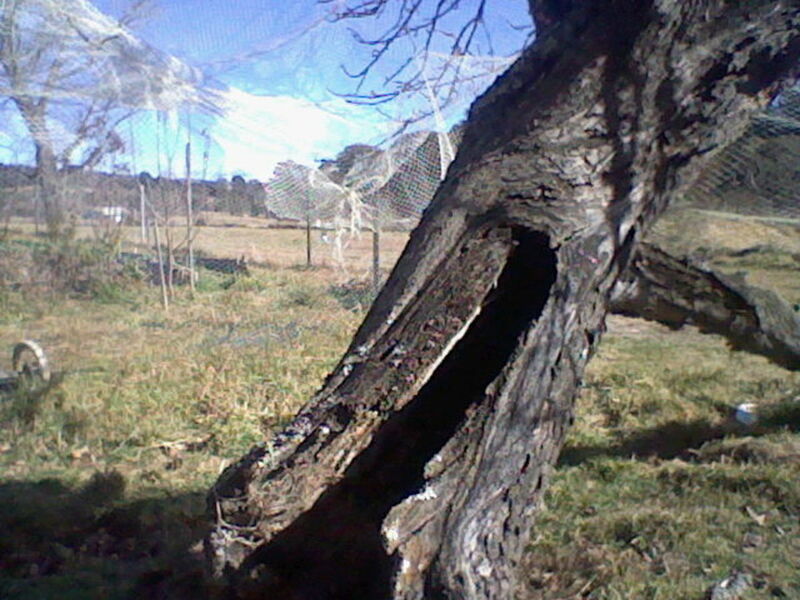 Generally my husband and I build a frame over a tree to be netted but the ancient apple trees are huge. The best we could do was toss the nets up and over. The same tree. Happy, healthy, and laden with apples! One happy old apple tree! I am delighted to tell you that the apples are wonderful. They are firm and crunchy, the way we like our apples. This year there was no need to drag the potted Pink Lady across the grass. Nature took care of pollination, and my other apple trees are all fruiting as well. The grand old apple tree, my favourite, has contributed hundreds of apples to our harvest this year. I have no way of knowing how much longer it will last because the trunk is still hollow and feeble looking, but this year was a bumper crop. Anyone with an ancient apple tree, or even just an old one, should make an effort to try and rejuvenate it. The rewards are terrific! Can we grow plants around a dead apple tree? If your apple tree is definitely dead, you could grow plants around it. But if you want to try reviving it the way I did with mine, it won’t like the competition. I have an old apple tree that is about to be taken down. The tree is about 70 years old. Only produces a few apples each year. I don't care if it produces fruit -- I love the tree but my husband wants it gone. Seeing this story makes me wonder if I should fight for the tree. In the last couple of years it has been broken in a storm and hit by a plow. I probably should let it go. But I feel sad about it. I don't know how to help it. If it does come down, it will be made into many wooden spoons and probably some boat parts. At least I will honor it in this way. Because you were excited by 5 apples, I'm thinking your apple tree is not very big or very old. (Most apple trees will give you five apples in one tight bunch.) Otherwise, your lack of fruit was due to lack of pollination. 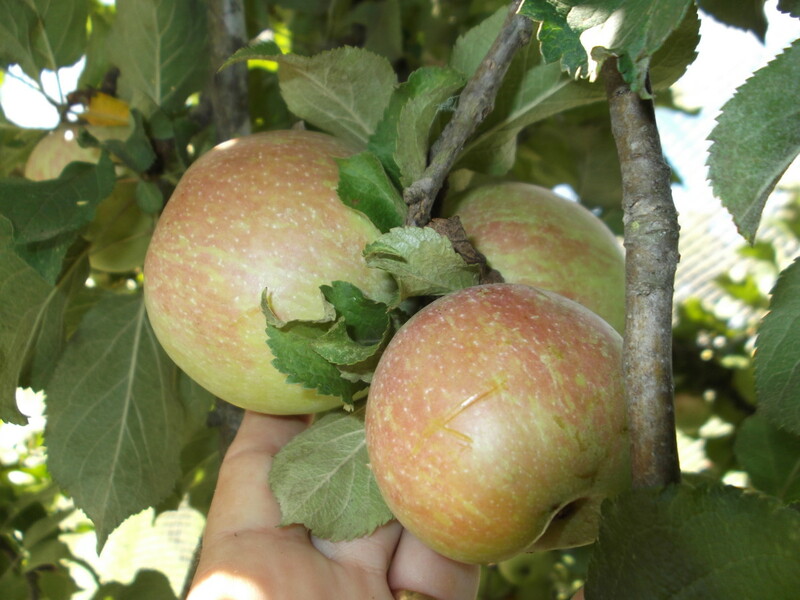 You need another apple tree nearby, flowering at the same time for pollination. And bees to help cross-pollinate. Your current problem is a bit of a guess for me. From your clues, I suggest you water the tree. Good heavy soaking around the root area once a week if you can manage it. Remember, the roots are likely to have grown as wide as the branches. 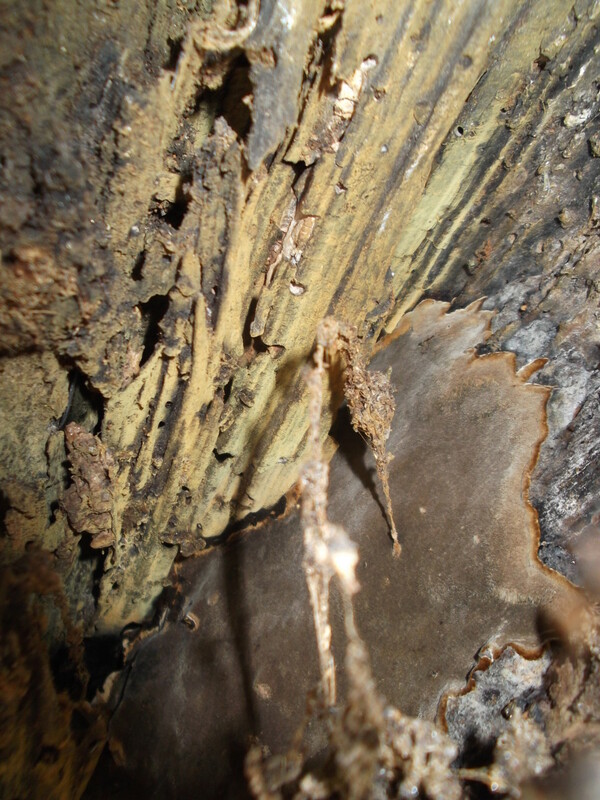 The peeling bark might indicate a pest or disease. When the ground is wet, pull out any grass close to the tree trunk. (Don't dig the grass, just pull it, because you don't want to harm roots near the surface.) Blast the tree trunk with water from your hose, in the hope of dislodging anything that's trying to take hold. If you add mulch, keep it away from the tree trunk. Ask questions at your local plant nursery or from other local gardeners because they'll have a better idea of your local pests and diseases. You might need to treat the problem with a specific remedy. 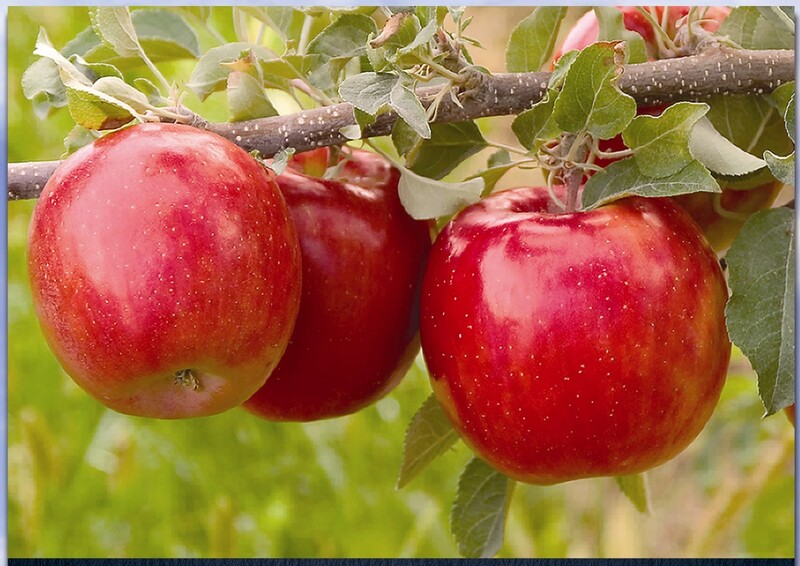 Many plants including apple trees are remarkably resilient and able to resist pests and diseases if their growing conditions allow them to grow stronger than whatever is attacking them. You just have to look at the photos of the decimated trunk on my old apple tree to see evidence of that. Give your apple tree water and nutrition. Don't give up on it because it is having a bad year. Try and help it grow stronger, and you may well be rewarded with apples next year. Good luck. I was excited to find your article. We have an apple tree that was doing great until 2 years ago. It was a hard winter and it had been pruned probably too much that year also. That was two years ago...last year I had 5 apples on it so didn't think it had been harmed but this year, I had a few new branches and some leaves but then they all dried up and the bark began to peel off the tree. I am so sad that my tree may be gone. Do you have any advice for this one?? What an inspiring hub! I do love gardening myself and have a little veggie garden that's doing pretty well at a couple of months old. Kudos for making the old apple tree young again and getting it to gift you with quality apples. Voted up. WOW I can't believe that you re-lifed that tree! I doff my cap to you! PS. I'm particularly pleased to see you writing about gardening, liesl5858. We need to spread the word. lol. I am pleased to see that you have been busy writing more hubs. I'll be over to take a look soon. Take care, and thanks for the nice comments. Congratulations LongTimeMother on your Hub Of The Day achievement, you really deserve it for a fantastic hub. It is amazing how you get rewarded for your persistence. I really like you and your hubs, you are such an inspiration to me and I never forget you helped me with uploading my photos and writing the sources. I am really glad to be following you. I have never seen a gopher in real life. Red and grey squirrels lived in trees outside our window in the UK and they were really cute. We don't have them here in oz. I have planted one almond tree here but compared to the hazelnut trees, the almond is slow to take off. We have great big wombats in the area that dig holes in the ground (and wander slowly across the roads creating hazards at night) but none have dug up my gardens yet. Congratulations on HOTD! What a wonderful, inspiring story for any gardener. We don't have a huge property--only about 3/4 of an acre--but that's certainly larger than the San Francisco backyards with which we both grew up. When we moved here, we inherited several old almond trees. We usually get a bumper crop on one of them, a so-so-crop on another, and the third is actually dead...oh, yeah..and we accidentally killed a 4th by drowning it in an attempt to get rid of gophers without using poison or nasty traps that can injure other wildlife, such as squirrels. We enjoy the squirrels. In fact, the squirrels usually get all of the almonds, and I don't really care, as I don't know how to process them, and they are not my favorite nut anyway. Special thanks to Careermommy for nominating this as a Hub of the Day. And to Simone and HP for making it one. I will certainly repay the compliment and visit hubs from all hubbers who took the time to comment here. Jenn-Anne, thank you. I am relatively new to apple trees. I've been told to expect they'll only crop well every second year ... by the same people who told me my old tree was completely dead. lol. I won't know until next year whether or not I can expect the same level of success. Good luck with yours! 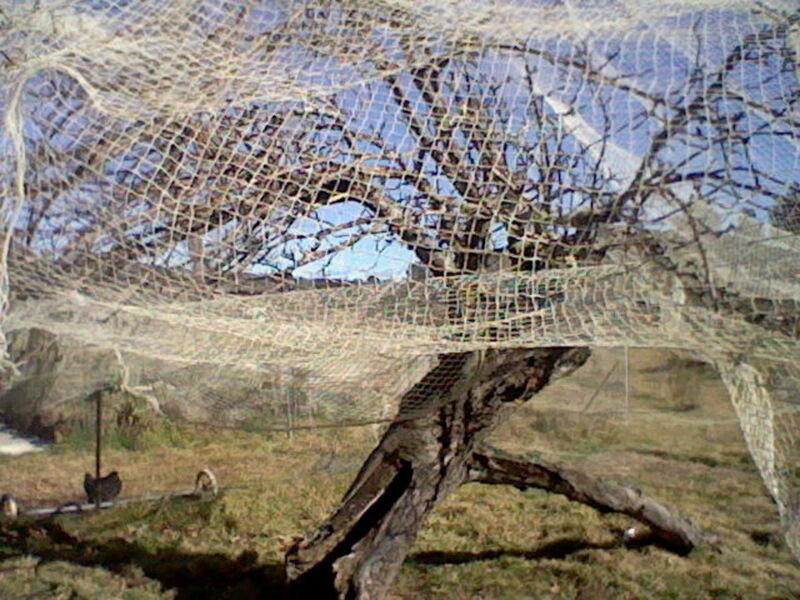 eurozulu, that's a good idea to cover the dead plum tree with bird feeders. I'd laugh if the bird droppings fertilize the tree enough to give some new life. Maybe you could sneak in and prune the tree a little. lol. Hi SaraGardner, Finland! wow. I'll have to take a look at your hubs and see what I can learn. :) Your leaf litter around the apple tree would have to be providing warmth and food. I'm not surprised your apples are getting bigger. I don't know how big your tree is, but the roots that obtain the most food are supposed to be the roots beneath the tree line - the tips of the outstretching branches. That's always confused me a little, because if you prune a tree the branches don't stretch as far. Anyway, your system is obviously working. I'm sure you must have a lovely colony of earthworms doing good things around all the roots of your tree! ComfortB, thank you. I am not always so patient. lol. moronkee, you sound like me. I get excited when I read other people's success stories. Thank you! kittythedreamer, I hadn't thought about the Celtic relevance. Thanks for the prompt. There's something nice about dead tree's depending on what they look like, my parents have a dead plum tree which they now use for feeding the birds, just covered it with all types of feeders. Thanks summerberrie. Happy to contribute anything I can to make your thumb greener. Your Cousins, I hope you'll try again. 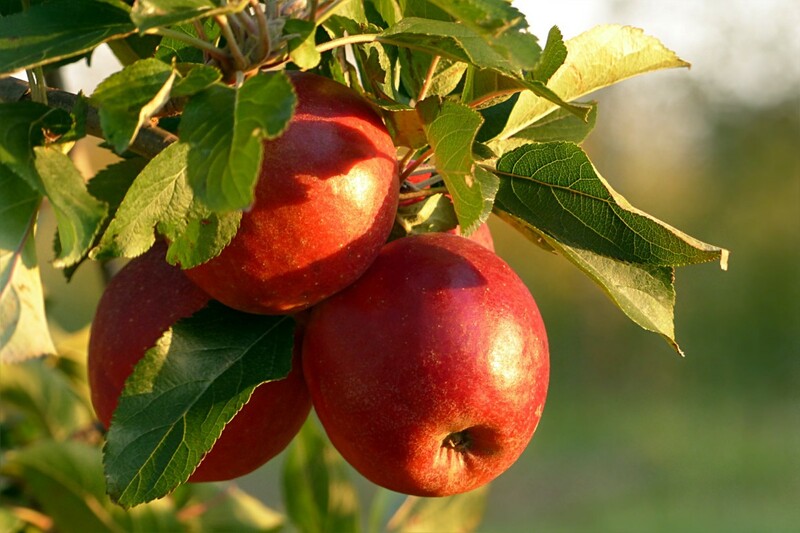 The best time to plant a new apple tree is in the autumn/fall or the spring after frosts and before heat. Wonderful hub - congrats on getting HOTD! We inherited two baby apple trees when we bought our house and I love them. The fruit they produce is delicious! We're still figuring out the fine art of pruning, watering and pest control but are hoping to get better and better crops every year. Hi liesl5858. Thanks for the compliments. I find fennel is really helpful for my pears and plums, so if you get little pests on your leaves, remember to plant some at the base of your trees. (Won't keep the birds away, though!) Good luck with your orchard. FlourishAnyway, I love it when nature steps up and does something really impressive, lol. 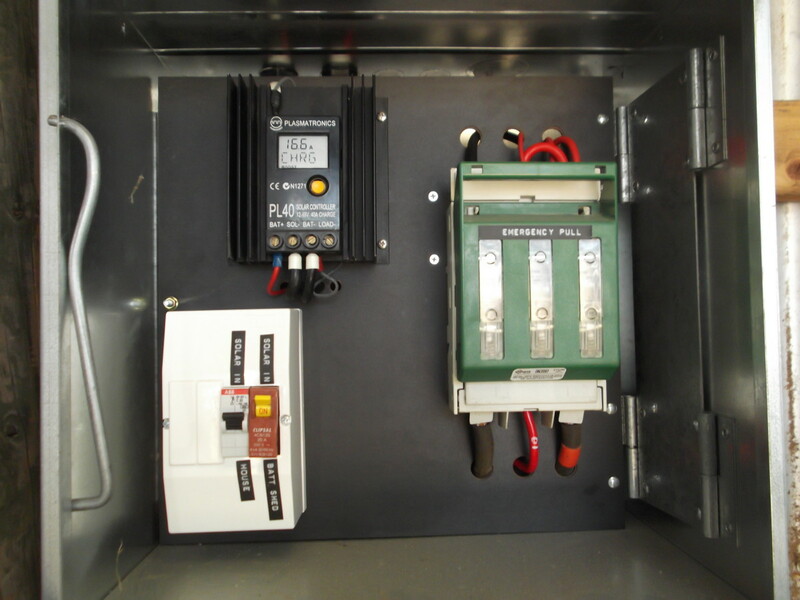 RTalloni, thanks so much for your comment. Didn't even notice the absence of a congrats ... but lovely of you to come back again! I have an orchard in place now, probably bigger than I need but I have lots of friends who will help me eat the fruit, lol. Good luck with your fruit trees! jpcmc, thank you. I am also a fan of orchids. CozyPozy, thanks for the feedback. Who knows what the future holds ... At least you'll have a few ideas if ever you get the chance, lol. Amazing. The apple tree was sacred to the Celts for many reasons. Great hub! Awesome! I like your patience! I would do the same thing (and my husband would argue for firewood!). I just planted 10 new trees on our property, but none of them apples! That is next on our list! Thank you for the great ideas! Beautiful! What an encourage account. What was thought to be dead came to life again. Patience and endurance are definitely virtues worth having. Congrats on this well-deserved HOTD award. I had an old apple tree in the garden when I moved here (to Finland), not ancient but probably around 50 years old and my mum said I should just chop it down but instead I put a wire fence around it, 1m in diameter and 1m high then filled it with leaves in the autumn. I like to think that it keeps the tree warm and protected whilst also providing extra nutrients as the leaves compost. I've had apples every year since I started and they are gradually getting bigger too. I learned a lot from this hub. I planted a small apple tree several years ago, but apparently didn't give it enough TLC and it died. I love the way you nursed your trees back to life. This is a great HOTD. Where are living that you have to worry about cockatoos? I didn't know apple trees would grow in the tropics! I bet it is beautiful where you are. Great hub, I love this story of renewal! Our apple trees are just babies, but when they become old and look as if they're past producing fruit, I will remember this hub and try to breathe life back into them! I didn't know fennel would repel pests - we have quite a few garden pests in our area, so I will have to plant some fennel to keep them away! Congratulations on HOTD! This is amazing that you brought this poor old tree back to life. I found your hub very interesting and inspiring. Congrats on a well deserved HOTD! Got lost in the account and forgot to say congrats on your Hub of the Day award! We are planning on air laying some branches of fruit trees this year. Hope you are able to have a mini orchard before you know it. Terrific story. I'm a city girl, but love your determination and it really paid off. Sometimes we shouldn't be too quick to consider something 'dead', when some more work can bring out such wonderful results. Good for you and the tree that you had the persistence to stick with it. Amazing things can happen if we work hard and just believe. Very useful and interesting hub. Congratulations on your Hub of the Day Hub, well done. Thank you for the ideas because I also have inherited an apple tree, a pear tree and a plum tree. You write such wonderful hubs and am glad to follow you. Great hubs LongTimeMother. I always enjoy hubs like yours.Beautiful photos too. Love your story! Congratulations on HOTD. Maybe some day we'll have the opportunity to take your advice! WOW, this is an amazing hub and story. your determination is without question more than what others have. If I were in your situation, the first thought would be to use the old tree as driftwood for my orchids. But you gave life to it. That's a better choice. Great job! Congratulations on HOTD and so well deserved for this hub. Fabulous article and stunning pics. Will definitely be back to read more of your work. Voted up. Hello, aviannovice. What you say about dead trees is absolutely true. We have lots of lovely homes for native birds and animals in the woods adjoining our home. That poor old apple tree, however, was destined for the fireplace because it sits right in the middle of our block. When we arrived here my husband thought it was an eyesore. Now it's become a talking point! Its future is secure. lol. LongTimeMother: I can't thank you enough for all your excellent advice! I'll be sure to check back in now and then to ask questions and see how your apple tree is doing. When the apple is no longer of any use to you, it will be useful for birds. When a tree dies, it can live on as a snag to provide homes to birds and small animals. When I was home, I had an apple that I had even grafted onto as a kid that still had lots of life at well over 100 years. Love and kindness can work wonders for living things, even trees. LongTimeMother, this is an awesome story of life! I was rooting for the apple tree and you told the story so well. This is worthy of a Hub of the Day award! Yes, I think a pot is a very good idea, particularly if you are not a confident gardener. The fennel plays a different role to comfrey. Fennel provides protection from bugs, while comfrey provides food for your plants. If you can afford it, I suggest you buy both. Actually, I guess I should ask you! I was thinking that because we're here in Chicago, (the winters get very cold here,) that I should start my tree off in a pot until it's of significant height / age? Then transplant it outdoors. I was considering growing the fennel you mentioned above, but if you think comfrey would work better for this kind of tree that's a fantastic idea, thank-you! I checked to see if the stone fruit trees would grow in my area and we are in the right zone. lol. Don't hold your breath waiting for me to get results, Nicole. We are heading for winter now so I will graft next spring. Then I'm thinking I will have to remove any fruit for the first year or so while the graft and the branches strengthen. By that time, the one you buy that was probably grafted a couple of years ago should be giving you a lovely fruit salad. I planted about 30 different stone fruit trees here a couple of years ago. They began fruiting this year, which is great. We've had good rainfall but that's not to say we won't get years of drought in the future. I will graft the stone fruit, and graft some pear trees to each other plus the citrus. Making fruit salad trees (multi-grafting) is really my safety plan in case for any reason I can't water all the trees. If I have some with multiple types of fruit on them, they are the ones that will get special attention. Are you going to grow your tree in a pot? In many ways it will be easier for you to look after ... but you'll have to water it more often than if it was in the ground. Can I suggest you buy a comfrey plant when you get your tree. 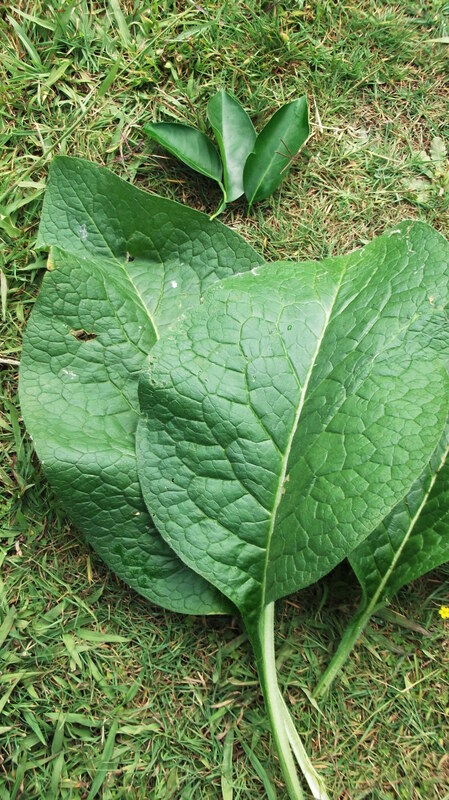 Plant the comfrey in the ground because it will develop a nice long taproot. It's great for mulch and for making a liquid food for fruit trees. Might help you keep your new tree alive longer than your past efforts. lol. Good on you for continuing to try. We're thinking about getting a stone fruit salad tree. I didn't even realize that there were different varieties until after you mentioned it and I started looking for the one we were getting. The last time I looked, I guess I was very specifically looking for the ones with peaches on them! My daughter *really* wants a peach tree, but I'm not crazy about peaches, I mean, they're great & all that, but if you've a good fruit bearing tree you can end up with *a lot* of that fruit, so I think a fruit salad tree is the perfect compromise for our family! I'd love to see some hubs about how your grafting works out, it's not something I can do, (I kill everything I try to grow, but I keep trying anyway!,) but I love seeing other people's work on their gardens / orchards. You can see in the top photos how significant the hole is. 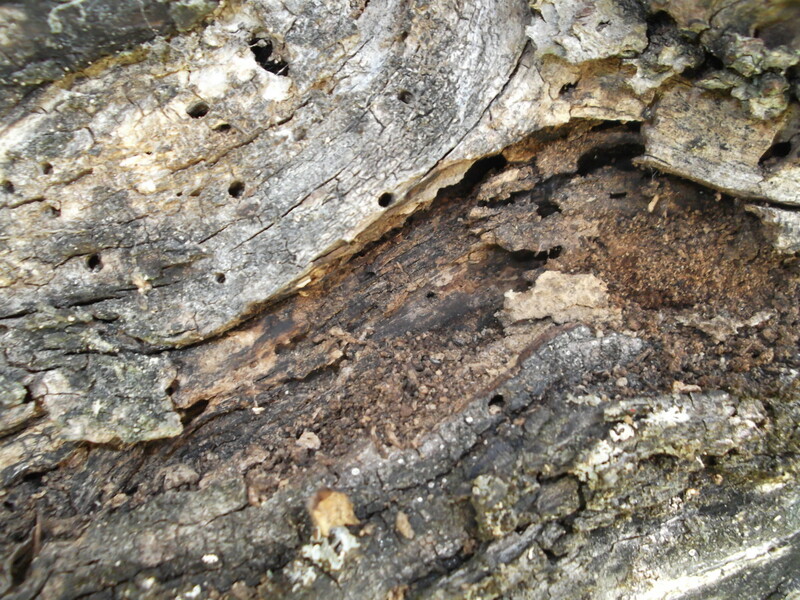 The third photo shows the type of damage at the top of the hole. I look a photo inside the hole, but it was just a big dark hole and seemed a silly photo to add. I can't help but wonder if it is getting some nourishment from the crutch, but the crutch looks pretty rotten and frail as well. The apples turned red, as you'll see in the bottom photo. They are lovely and crisp and not tart, which surprised me. I have no idea what type of apple it is. Very interesting. So the tree is hollow and yet fruits! What type of apple is it I wonder. I guess you are talking about multi-grafted trees, Nicole. That's a concept I began exploring after buying a multi-grafted apple tree. I have bought the tape and everything I need and plan to graft some of my lemon tree to my orange tree and reverse. I also intend to experiment with my stone fruits. I think it is a great idea. 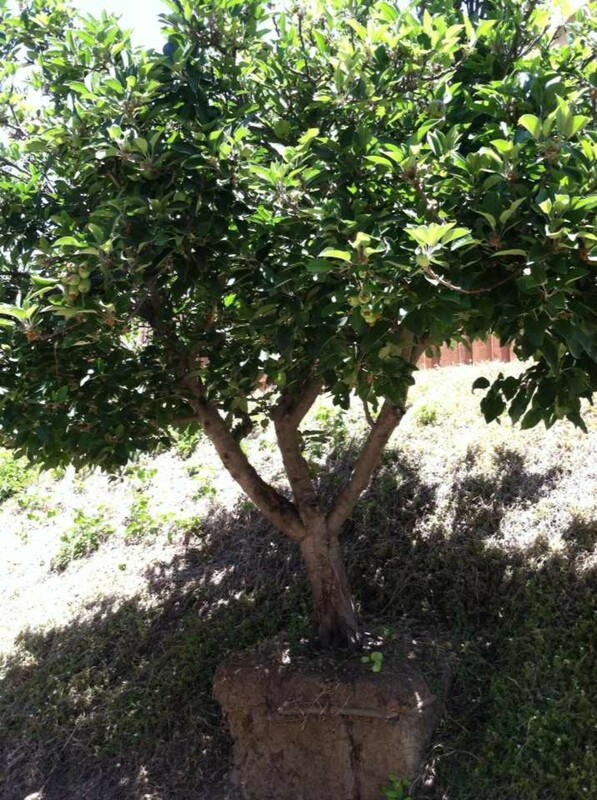 Which type of fruit salad tree are you thinking of buying? Wow, this was a fascinating look into your honorable persistence! Absolutely amazing that you were able to rejuvenate your trees, very impressive. We don't have much of a backyard, but I'm looking forward very much to planting something called a fruit salad tree, (seriously, if you haven't heard of it, look it up, it's amazing!,) and planning out my garden in the next couple years.